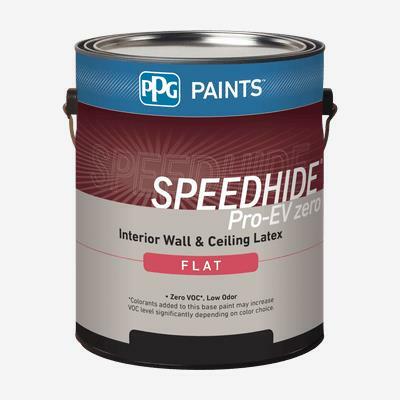 SPEEDHIDE® Pro-EV Zero Interior Latex Primer is a durable, quality interior vinyl acrylic sealer/primer designed for new and repaint applications where speed of application is important in both the commercial and multi-family markets. This zero-VOC**, low odor paint enables a space to be painted while occupied, delivering the durable product performance required. This product seals the surface to create an even, sound surface for the topcoat to be applied. It promotes adhesion to produce a tight bond between the paint and the surface to be painted. Recommended for use on properly prepared new or previously painted wallboard and wood.